TechSpace is a national movement that aims to change the lives of young people in Ireland by becoming Ireland’s leading creative technology network for outcome focused youth development. Its’ mission is to Inspire young people to use their native interest in technology to become tomorrow’s digital creators, inventors and makers with technology and not just consumers of technology. Carrickmacross Library is one of the first libraries in the Country to establish a Techspace. Every Saturday morning, children aged between 7-12 will explore the worlds of Circuitry, Coding, Robotics, Animation and Art. 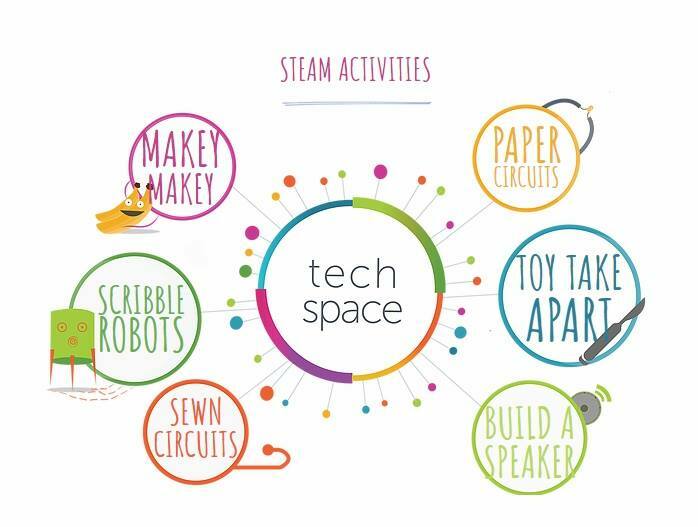 As the Techspace develops we will also get the parents involved to help out with more advance ‘Makerspace’ projects such as working with circuit boards and soldering irons to help the children create working speakers, solar powered buggies, wind up torches and more.